As a CPA, Kimberly Gangi often hears clients’ complaints about taxes and gridlock in government. But Gangi, president of the Small Business Council of Rochester, says there are “great opportunities” for small firms to help the local economy grow. A graduate of SUNY College at Geneseo, Gangi has two decades’ experience in accounting and today is a partner at Insero & Co., where she heads the small-business and outsource accounting services group. Gangi recently took part in an interview with RBJ editor Paul Ericson. ROCHESTER BUSINESS JOURNAL: How do you see the state of small business in Rochester now? KIMBERLY GANGI: In general, as far as the state of small businesses in Rochester now, I see it overall as positive. We have seen a definite increase in activity amongst the small-business sector, both in new companies starting up and existing organizations gaining some growth and seeing new opportunities. 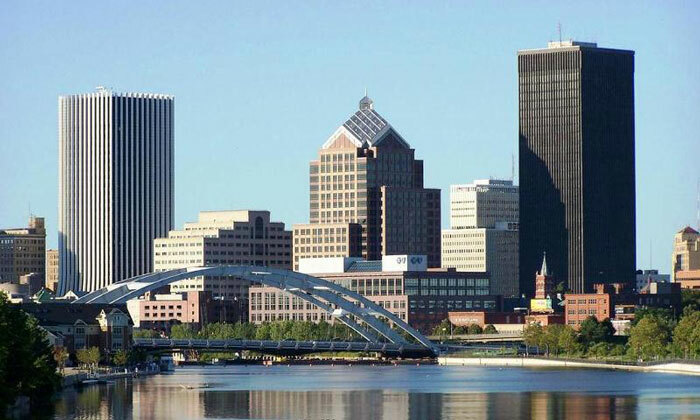 While we are cautiously optimistic, we firmly believe that small businesses will continue to fuel growth in the Rochester region and the surrounding areas. RBJ: The picture in the overall local economy has been mixed. Private-sector jobs continue to grow, but at a slower pace than nationally. And the labor pool has been shrinking. What are some of the challenges frequently voiced by SBC members? GANGI: Challenges faced by SBC members—and honestly, most small-business owners—continue to be finding and retaining talent, staying competitive and the ever-increasing demand on time. Being able to hire and retain quality individuals and being able to keep those individuals can be very challenging, especially for those just starting up. The cost of benefits, particularly health care, can make this difficult. With the downsizing of some of the larger companies in the area and reduction of the periphery services those companies needed, business owners need to be more strategic than ever to stay competitive. I also see that owners have more of a demand now on their time than ever. With the age of technology comes full-time access, and I think that owners find that they are busier than they ever have been and need to do more with less. That all being said, I am very confident that our local small-business entrepreneurs will continue to create new opportunities for our community. RBJ: How long have you been a member of the Small Business Council, and how has your own membership helped you as a partner in your business? GANGI: I have been a current board member of the Small Business Council since 2012, and I also served on the board from 2004 to 2007 and co-chaired the Business Person of the Year Gala in 2004 and 2005. My firm has been involved with the Small Business Council for much of the last decade in some capacity, either at the board level or as a supporter of events and committee participation. My membership in this organization has helped me as a partner at Insero & Co., as my primary role at my firm is to lead the small-business and outsource department. This role is a natural fit for me, as my interaction with the membership at events and fellow board members has provided me insight that has helped me to grow professionally and to better serve my own clients. My role on this board and involvement with this organization have allowed me the opportunity to meet with business owners throughout the community and develop relationships with my fellow board members that extend beyond time spent in meetings and has truly been an invaluable experience. RBJ: As SBC president, what have been some of your primary goals? GANGI: My primary goal first and foremost for the Small Business Council this year was to ensure we were delivering to the membership programs and events that they found value in. In addition, we decided some time ago that we’d like to embark on a mini strategic planning process to reaffirm and define what and who the Small Business Council stands for. One of my goals this year was to lead that committee and go through that process, which we did in January. The outcome of those sessions was very positive, and we as a board have been working to implement and reinforce the results of those efforts this year. Finally, a key goal of mine is to position the SBC organizationally for the future. RBJ: Are there any new initiatives or programs in the works? GANGI: The board and committee chairs are continually evaluating the programs that we put forth to the membership. Many of our events and programs are very well-attended, and the response from attendees is positive. We are always striving for improvement and have made some modifications to existing events as well as reflecting on what worked and what didn’t in our post-event wrap-up meetings. This year we are starting to gain some traction with our Decision Makers Forum, which is an evening event that focuses and does a “deeper dive” on a particular topic. These events include a panel of professionals from the field of focus and a moderator. We are looking to add more of these in 2015, and the feedback we are receiving is positive. We also are considering modification of our calendar of events to provide a more consistent and even delivery of programming to the membership throughout the year. RBJ: Three years ago, the SBC started naming finalists and handing out awards in two Business Person of the Year categories: businesses with more than 50 employees and those with fewer than 50 employees. Has there been any discussion about other changes to the award program in the future? GANGI: The change in the program three years ago had purpose and a goal which we feel was accomplished. The intent was to encourage owners across the spectrum of small business to be a part of this celebration, and by stratifying those awards between the over-50 and under-50 employees, we accomplished that and created a more diverse program that is really representative of what we wanted it to be. So while at this time we don’t have any plans to change the program, as far as the overall structure of it, a new idea may emerge in the future that may pique our interest. RBJ: In terms of helping run a business, what do you personally find most challenging? GANGI: Honestly, in terms of running my firm, some of the most challenging aspects of it have also been the most rewarding; it is the people side of the business. When I started practicing some 20 years ago, the sole focus was on the clients, and as a staff accountant, you put your head down and you cranked out work for as many hours as it took. Today, the environment is totally changed. Of course, you always focus on your clients and client service, but the individuals coming out of the colleges today are very bright, and they want to work in organizations that recognize them for who they are as a person as well as what they can do technically. So there has been this amazing shift in public accounting, and the focus is not only on our clients but on our people. The adage that you are only as good as the people that work for you is really quite true. It has been an adjustment for us old-timers and a challenge, but it has been worth it 110 percent. In terms of helping my clients run their business, while the challenges can vary in degree, depending on the stage of the organization, they are quite often the same, whether the business is 2 months old or 20 years old. People, cash flow, growth and succession challenges impact organizations every day. My challenges are often with owners of these businesses and helping them to focus on where they are today and where they want to be and staying on that path. The path can often be winding and it can make a calculated change, of course, but we work as a team, and the successes along the way, however small or big, are well worth it. RBJ: As a CPA, what issues and concerns do you hear about most frequently from business clients? GANGI: The most frequent concerns we hear from our clients really revolve around taxes and gridlock in government. Business owners (don’t) feel that our governing bodies truly understand the impact their decisions make on organizations and what the cost of the delays of some of those decisions have. RBJ: What are SBC members’ top concerns in Albany right now? GANGI: The focus currently is on the upcoming November elections and what impact those will have on the upstate region and progress on business reforms. Concerns continue to surround the regulatory issues faced by businesses, such as the costly enforcement of the Wage Theft Prevention Act, minimum wage, rising health care costs and taxes. While significant progress has been made on the Wage Theft Prevention Act, compliance is still required, pending the signature of the governor. RBJ: In general, do SBC members think government does enough to support small business? Or to reframe the question, would members prefer that government—especially in Albany—simply do less in terms of regulation and taxation? GANGI: I believe that the regulatory environment that we live in today can make it very challenging at times for SBC members and small-business owners. While progress has been made in certain areas, necessary compliance with regulations and mandates can be daunting and costly for members and owners. Continued advocacy in Albany for the upstate region is critical. New York is an expensive state to do business in, and again, while there certainly have been some strides made, other states and other countries, honestly, are aggressively courting our businesses. There needs to be balance. RBJ: Circling back to where we began, are SBC members generally optimistic or pessimistic about the prospects for small businesses—and the broader local economy—over the next few years? GANGI: It is interesting, because as entrepreneurs, we are optimists by nature, and when you think about it, when you start a business, you are fighting the odds by virtue of the very challenges that you will face every day. It requires resilience and tenacity to start and grow a small business. So in spite of the gridlock at the state and federal levels of government and the decline of some of the largest employers in the area, we see great opportunities for local businesses to pick up the slack and help grow this area. Rochester has always been innovative and ahead of the curve. We see no reason to think we won’t continue that pattern.